What’s the most important object in the global economy? The classic answer… is the shipping container, which carries just about every type of object you can think of through the arteries and veins of global trade. But let’s drill down a little further. How do those boxes of grapefruits and scissors and puffer jackets get into the containers in the first place, and then get offloaded at their destinations? The answer, most commonly, is an even more humble and ubiquitous technology: the pallet. As we pile it on, we might recall that it was on this date in 1858 that Philadelphia iron products manufacturer Albert Potts patented his design for a lamppost-mounted collection mailbox (U.S. patent #19,578). 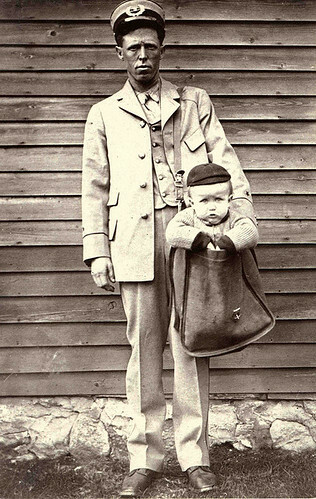 His box was designed to be affixed to a lamppost so that people could drop their letters into the box instead of making a special trip to the post office to mail their letters. While Potts was a pioneer in America (anticipating the demand for letter boxes that expanded when City Free Delivery– the delivery of letters to addressees’ doors– was introduced), his were predated by the “pillar box” (introduced in the UK in 1852 by novelist Anthony Trollope, in has day-job capacity as Postal Surveyor) and by a short-lived postal system using collection boxes on street corners around Paris that was set up by Renouard De Valayer in 1653. 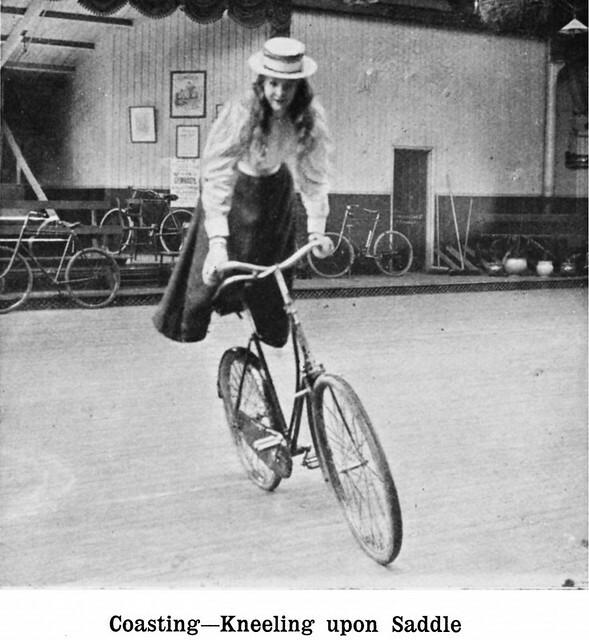 The bicycle revolutionized late Victorian and Edwardian society. 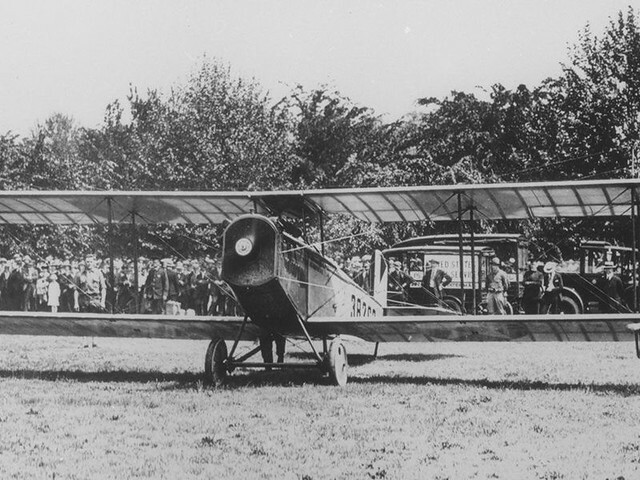 Between the 1880s and the 1910s, it grew from an expensive fad for the upper classes, to a popular sport, to a marker of freedom for women, and finally, to an affordable mode of transportation for the middle and working classes. The more daring took the riding of the bicycle even further to amazing acrobatic feats atop two pneumatic tyres! From the ever-edifying Edwardian Promenade; the photo above is © Shire Publications/Old House, which has just re-released Fancy Cycling. As we fixate on fixies, we might recall that it was on this date in 1883 that James Goold Cutler patented the mail chute. 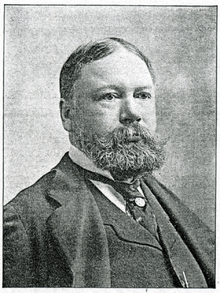 An architect (and later, Mayor of Rochester, NY), Cutler developed the system to allow employees or residents in multi-story buildings– which, with the advent of Otis’ “safe” elevators, were going up in huge numbers– to use a slot on their floor to mail letters which then dropped through a thin shaft to a collection box in the lobby. Largely extinct now (they had an unfortunate habit of jamming, and then of course, there came email), they were once a standard feature of high-rises. 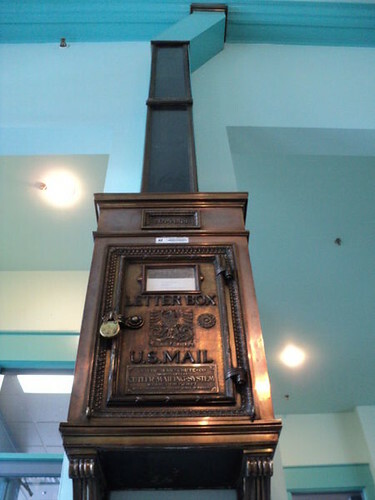 A Cutler mail chute, still in service as of 2010, in the lobby of the Idaho Building in downtown Boise. 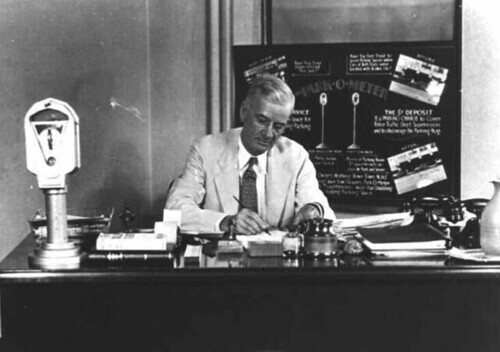 As we compare the price of an airplane seat to the fee for an extra checked bag, we might recall that it was on this date in 1935 that the world’s first parking meter (Park-O-Meter No. 1, AKA “the Black Maria”) was installed on the southeast corner of what was then First Street and Robinson Avenue in Oklahoma City, Oklahoma. 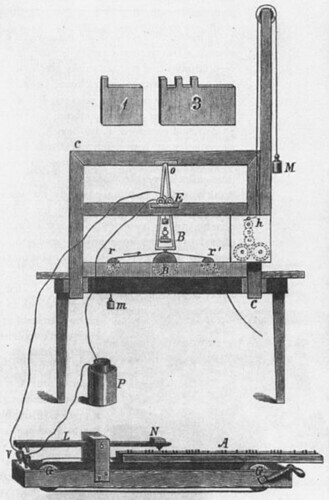 The design, by Holger George Thuesen and Gerald A. Hale, was done for Carl Magee, who patented and installed the device.